- NWA Florida Superbowl of Wrestling (January 25, '78) = Keirn & Mike Graham won the NWA Florida United States Tag-Team Titles, winning over the Valiant Brothers. - Memphis Southern Tag-Team Title Tournament (March 14, '82) = Keirn & Danny Davis lost in the first round to Dennis Condrey & Randy Rose. Bobby Eaton & Sweet Brown Sugar won the tournament. 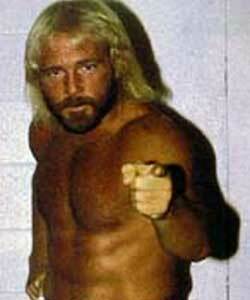 - NWA/AWA Star Wars (February 24, '85) = Keirn & Jimmy Valiant were beaten by Ivan & Nikita Koloff. Later on, Keirn & Valiant competed in a "Tag-Team Battle Royal", which was won by Sgt. Slaughter. - NWA 1st Annual Jim Crockett, Sr Memorial Tag Team Tournament Cup (April 19, '86) = The Fabulous Ones (Keirn & Stan Lane) fell in the first round to the Fantastics. The Road Warriors won the tournament. - NWA 2nd Annual Jim Crockett, Sr. Memorial Tag Team Tournament Cup (April '87) = Keirn & George South fought to a Draw with Mike Graham & Nelson Royal. Nikita Koloff & Dusty Rhodes won the tournament. - Mid-South Coliseum (March 38, '88) = Keirn & Mike Graham retained the NWA Florida Tag-Team Titles, beating Jonathan Boyd & the Moondog. Mid-South Coliseum (May 9, '88) = Keirn & Mike Graham defeated Max Pain & Gary Young. - WWF King of the Ring Tournament '91 (September 7) = Skinner defeated Virgil, then lost to the eventual winner, Bret Hart. - WWF Survivor Series '91 (November 28) = Skinner, Col Mustafa, Hercules, & the Berzerker fought in an "Elimination" Match against Sgt Slaughter, Jim Duggan, Tito Santana, & the Texas Tornado. Skinner was eliminated by Slaughter, whose entire team 'survived'. - WWF Tuesday In Texas (December 3, '91) = Skinner lost to the WWF Intercontinental Heavyweight Champion, Bret Hart. - WWF Royal Rumble '92 (January 19) = Skinner competed in the Royal Rumble, which was won by Ric Flair. - WWF Wrestlemania VIII (April 5, '92) = Skinner fell to Owen Hart. - WWF UK Rampage '92 (April 19) = Skinner was pinned by Tatanka. - WWF Royal Rumble '93 (January 24) = Skinner competed in the Royal Rumble, which was won by Yokozuna. - WCW Bash At The Beach '94 (July 17) = In a dark match, Bad Attitude (Keirn & Bobby Eaton) fell to Brad & Brian Armstrong. - WCW Fall Brawl '94 (September 18) = In a dark match, Bad Attitude were beaten by Brad & Brian Armstrong.